For over a decade, Minuet speakers have set up a new level of performance for compact sized monitors regardless of price. 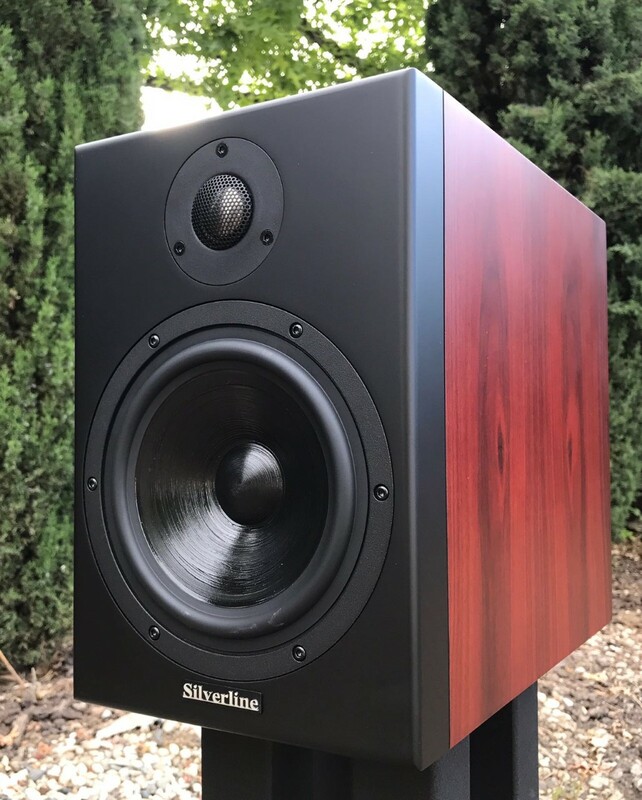 This year, Silverline Audio has successfully bettered the already close to perfect Minuet speakers. The result is the Minuet Grand. This new speaker is equipped with our latest drivers and an enhanced crossover network. The new mid-woofer has an amazing long excursion as well as high power handling capability. It comes with a 5.25-inch treated paper cone housed in a rigid die cast aluminum basket, delivering incredible dynamics and high definition. The over-sized magnet motor and the humongous voice coil allow it to handle high current effortlessly and precisely. The new ultralight weight titanium diaphragm tweeter provides superb transparency and is more airy. The imaging is awesome thanks to the special magnetic fluid and over-sized heat sink for effective heat dispersion. The tweeter enhances it sensitivity and amazing power handling. No matter what system you are currently using, you will need to try a pair of Minuet Grand and let your wild imagination guide you.